Incorporating multiple media in Public Administration (PA) instructional design facilitates simultaneous access to the educational benefits that each can offer individually. Building on this convenience, instructors can focus attention on the scope for using multimedia, for example, televised situational comedies (sitcoms), to simplify the incorporation of pedagogic strategies like humor and laughter. Humor can lead to amusement, the outcome of which is the expression of joy and happiness, through laughter. Indeed, laughter is a form of communication, unhindered by demographic differences like culture and language. Over the last fifty years, many scholars in the field of education attest to the psychological and physiological benefits of humor to improving outcomes in teaching and learning environments. Studies on improving teaching and learning through humor tend to follow experimental designs, involving pre-test and post-test of participating students’ recollection of specific course content, in classroom environments; and investigating the use of different types of humor and their comparative effects. Leading scholars on this topic include: R. M. Kaplan, G. Salamon, Avner Ziv and Melissa B. Wanzer, Ann B. Frymier and Jeffrey Irwin. Their studies can be found in academic journals, such as College Teaching, Journal of Experimental Education, Review of Educational Research and the TESOL Journal. Comparison has been made, for example, of the effects of disparaging humor. Wanzer et al in their explanation of the relationship between instructor humor and student learning found humor to be adaptive when used in a prosocial and positive way. They note that humor used in an aggressive or self-defeating manner was positively correlated with anxiety, depression and hostility. Indeed, a sense of humor is not a required quality among PA instructors in higher education. In the past, most instructors did not consider it advantageous to introduce humor into their lectures and course material. Moreover, using humor in the classroom was seen as unwise and unintelligent. In the last fifty years, however, using humor in natural and socials science classrooms has been enabled by developments in computer technologies that support multimedia applications. 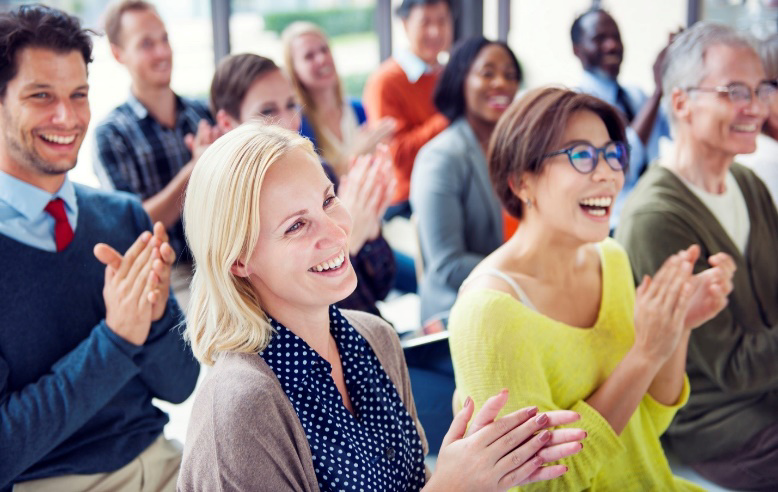 More recent studies indicate that using humor has significant benefits to teaching and learning outcomes, thus increasing its value to instructors. Some sitcoms relevant to PA topics are: Brooklyn Nine-Nine, M*A*S*H and Parks and Recreations. In his article published in TESOL Journal titled, “Using sitcoms for pragmatic language teaching and learning,” Gay N. Washburn identifies some advantages to improving communications, an important skill for public administrators, which may be derived from viewing television programs. These include the ability to interact without being directly involved. That allows viewers to focus their attention more easily on processing course related materials analytically. Television programs offer a wide range of situations in rich contexts and facilitate observing non-verbal commentary that enhances comprehension. From a practical view point, television shows can be recorded, replayed, paused or advanced at any point. Sitcoms in particular, by providing information simultaneously, allow viewers to process multiple dimensions of situational information concurrently. When incorporating humor and laughter in the delivery of PA courses, humor should always be appropriate and aligned with the course learning objectives. It is also important to have a good sense of what the audience might not consider amusing. Sometimes the entire class might not find the material humorous and they might not laugh. If this occurs, it is up to the instructor to relieve tension in the class. An effective way to do this is through comments like, “You didn’t’ find that funny, did you?” Attention should be paid to avoiding cultural undertones that could segregate international students, who due to misinterpretation or misunderstanding, might not fine the information presented amusing. Finally, humor should not be included in tests. In those circumstances, it does not relieve anxiety among students as otherwise expected. If the use of humor is thoughtfully planned and introduced in a timely and refined manner, by instructors who are aware of learners’ needs, the expected improvements to teaching and learning are likely to be realized. Author: Lois Warner is an Assistant Teaching Professor at the School for Public Affairs and Administration, Rutgers, The State University of New Jersey. She is also the Teaching Resources Coordinator and serves as Chair-elect on ASPA-SPAE’s Executive Board.